Walk just a few blocks east from Baltimore’s Sunday Farmers Market and you enter one of the oldest neighborhoods in the city—historic Jonestown. On this tour of often overlooked landmarks, you’ll see the city’s oldest religious building (Aisquith Street Meeting House) and the third oldest synagogue in the country (Lloyd Street Synagogue), learn about cast iron buildings and the longest-lived signer of the Declaration of Independence, and get inside the famed Phoenix Shot Tower—the tallest structure in the United States until 1846. 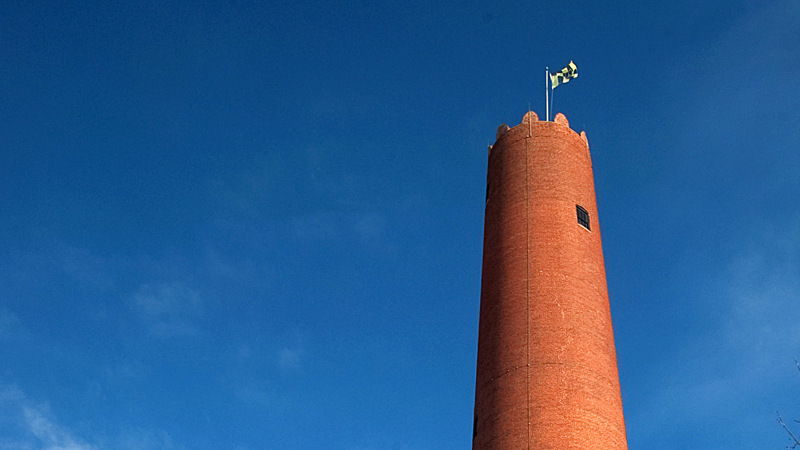 The Shot Tower stands out in Baltimore’s skyline as a reminder of our early industrial heritage and is a must-see for visitors and locals alike! Our Monumental City tours are guided walks exploring iconic Baltimore landmarks in Downtown, Jonestown, Mount Vernon and Federal Hill on the first four Sundays of every month, excluding holiday weekends. Our Jonestown tour is organized in partnership with Carroll Museums, Inc.